Pokémon Go is a unique phenomenon. We’ve seen flash-in-the-pan app releases before, but the excitement usually fizzles out in a day or two. Pokémon Go has been out just over a week now, and it already has more daily active users than Tinder, is rivaling Twitter’s sizable ranks, and has made an $7.5 billion impact on Nintendo’s stock. As an app, Pokémon Go isn’t all that impressive. In fact, I’m willing to bet that if you took Nintendo and Pokémon out of the equation it would barely make a dent in the App Store. But thanks to Pikachu and Co., millions of users are willing to overlook the crude interface and repetitive gameplay as they wander their neighborhoods trying to round up as many creatures as they can. Along with their love of pocket monsters, however, all Pokémon Go players have another thing in common: They’re constantly starting at their phones. 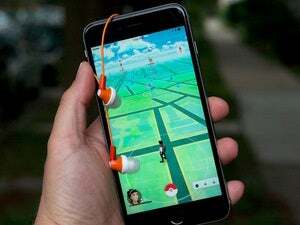 Pokémon Go may be the first app that has taken augmented reality mainstream, but its heavy reliance on the smartphone’s screen has already been blamed for car crashes and other mishaps, and at some point users are just going to get tired of holding their phones all day. And that’s why the Apple Watch could take the game to the next level. 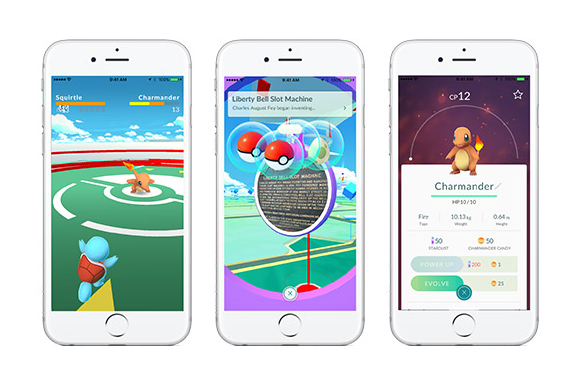 Pokémon Go doesn’t have an Apple Watch component yet, just the standalone app for iOS and Android. Smartphones provide a better experience than a handheld console like the 3DS would, taking full advantage of our mobile phones’ cameras and sensors. What would you rather wear, an Apple Watch, or this thing? 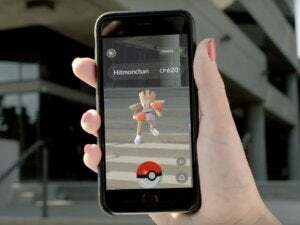 An Apple Watch app would elevate the iOS experience, notifying you when Pokemon are nearby or letting you toss Poke Balls with a flick of your wrist. If you can find one for sale, there’s already a wrist-worn $35 accessory, the Pokémon Go Plus, that lights up and buzzes when Pokémon are nearby, in case your phone is tucked away and you can’t feel it vibrating. But an interactive smartwatch app would be so much better. The Apple Watch’s purpose is to reduce the amount of time you spend with your iPhone, and a companion Pokémon Go app for your wrist could do so much more than just alert you to nearby monsters. 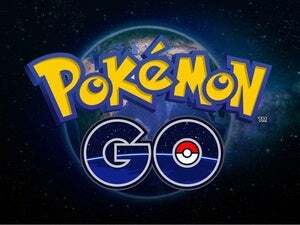 The smartphone game guides you to find Pokémon by indicating with one to three paw prints how far away they are. To catch them, you flick Poké Balls at them from your smartphone screen. To evolve them or level them up, you feed them Candies (don’t worry, this is all in our beginners’ guide). Any of this could be done on the wrist, and could result in longer game sessions if you can leave your smartphone’s display off for a few more minutes at a time, giving your battery a break. I’d even wager that a lot of Pokémon Masters would pay to unlock a smartwatch app as an in-app purchase. 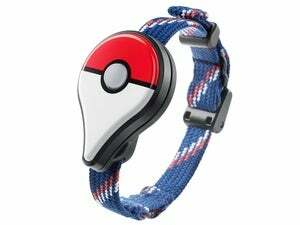 If the game has staying power, Apple and Nintendo could even partner to make a special edition Pokémon Go Apple Watch, maybe a Sport model with a red-and-white band and special Pickachu face. Of course, paying hundreds for an Apple Watch—which still requires an iPhone to work—just for a kid to play Pokémon is a stretch. But while kids already monopolize their parents’ iPhones, Pokémon Go requires constant vigilance. The game’s natural progression could lead it to be entirely wrist-worn at some point, once more smartwatches have dedicated GPS chips. Eventually, the watch app could be the bulk of the experience, with the smartwatch app providing a log of your progress, like the Activity app for the iPhone. An untethered augmented reality experience could accelerate the Apple Watch as a gaming platform while helping device-addicted kids get outside and get some exercise. It would turn their backyards into an RPG and the Apple Watch into a new kind of gaming system, one that doesn’t get in the way of where you’re going.